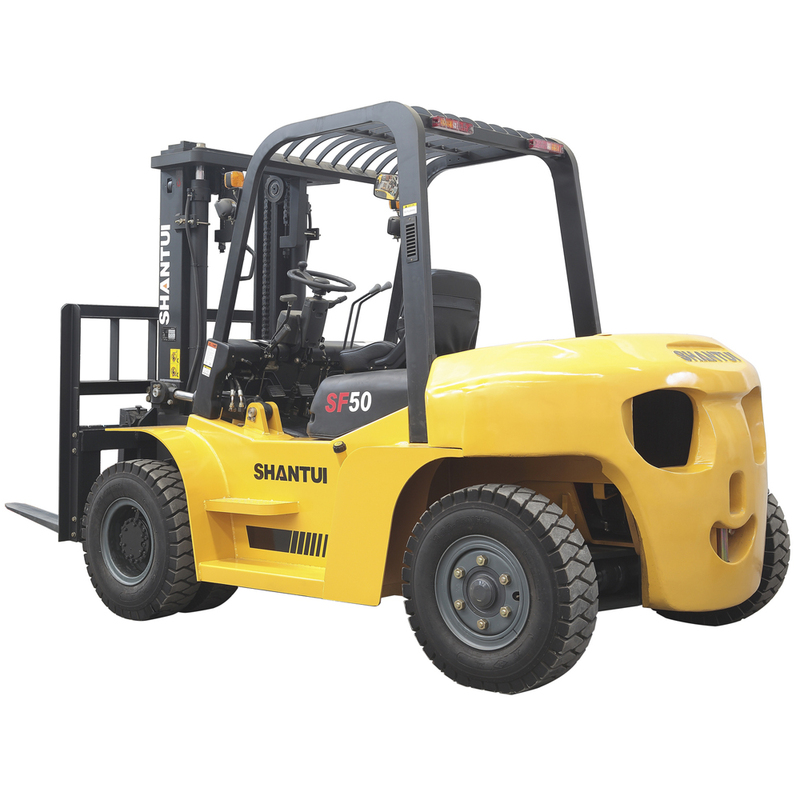 Product categories of 5 Ton Diesel Forklift, we are specialized manufacturers from China, 5 Ton Diesel Forklift, 5 Ton Forklift suppliers/factory, wholesale high-quality products of 5 Ton Komatsu Forklifts R & D and manufacturing, we have the perfect after-sales service and technical support. Look forward to your cooperation! 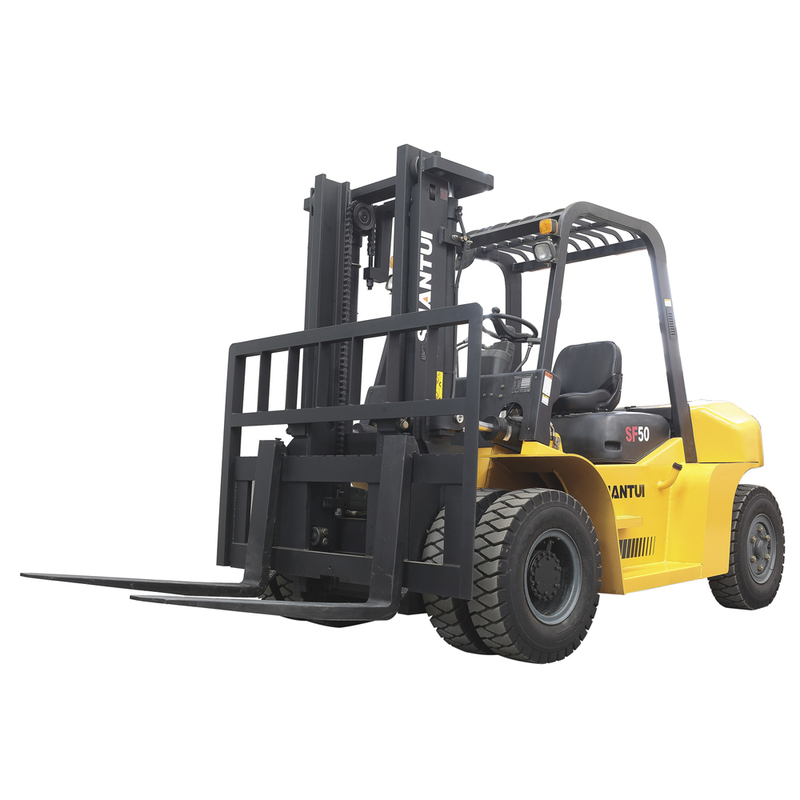 5 Ton Diesel Forklift is heavy duty and internal combustion Counterbalance Forklift, two engines Chaochai 6102 and ISUZU 6BG1 are both optional. It can be used indoors and outdoors, containers and other places. Warranty: 12 months from B/L date or 2000 working hours, whichever comes first. 1. Advanced accessories. Core parts such as engine are imported or domestic famous brands, key accessories such as frame, mast are homemade, so they can improve the reliability of the machine. 2. Excellent drive system. With a hydraulic/ mechanical drive system, front axle drive and rear axle steering, the machine has excellent travel and traction capabilities. 3. The ergonomically design. 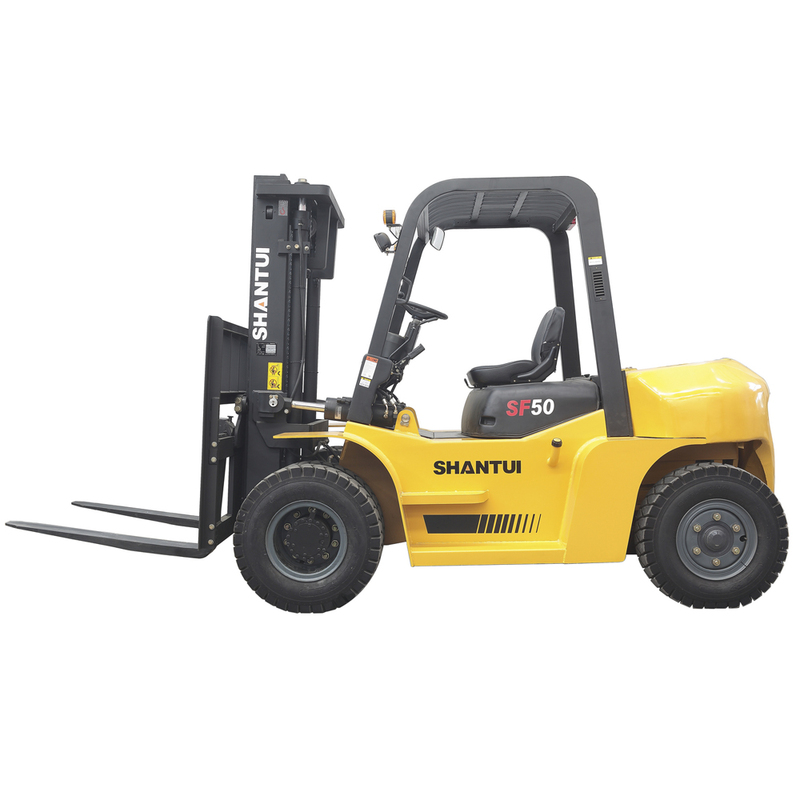 Forklifts with FOP function and adjustable seat provides operators with a safe and comfortable work environment. 4. Shock absorption system. The forklifts` canopy is equipped with a shock absorption system and the control device, canopy, operator seat are installed in the canopy. The shock absorption system is used in rear axle, which can greatly reduce overall machine vibrations and provide the operator with a comfortable work environment. 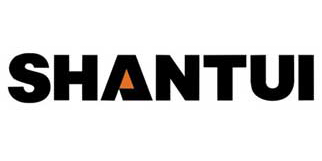 Shantui products including Diesel Forklift , Electric Forklift, Heavy Duty Forklift, Gasoline Forklift, container forklift, Side Loader , Pallet Truck , Construction Machinery including shantui bulldozer, Wheel Loader , Crawler Excavator, road roller, generator set, motor grader, truck crane, Construction Machinery Parts, Shantui Parts , Cummins engine parts, komatsu parts, and other machinery parts.